Among all the mixed-use communities that are being developed currently in Bahrain, Diyar Al Muharraq mega project outstands the most. A coalition of 8 artificial islands developed in the northern east corner of the Bahraini Kingdom, Diyar Al Muharraq is located only 10 kilometers away from the capital Manama. 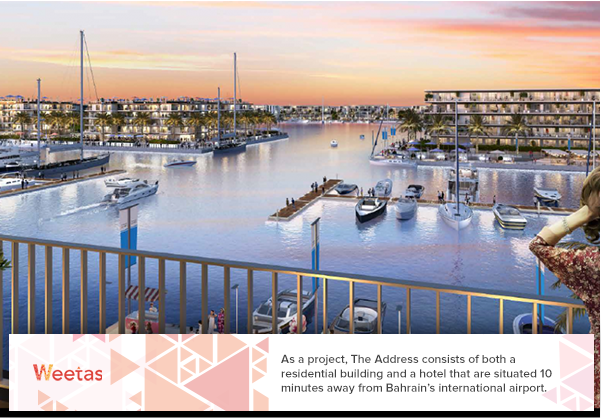 With an area that spans more than 12 square kilometers, the man-made islands became home to many ambitious developments; and Marassi Al Bahrain comes as one of the most prominent of these projects. 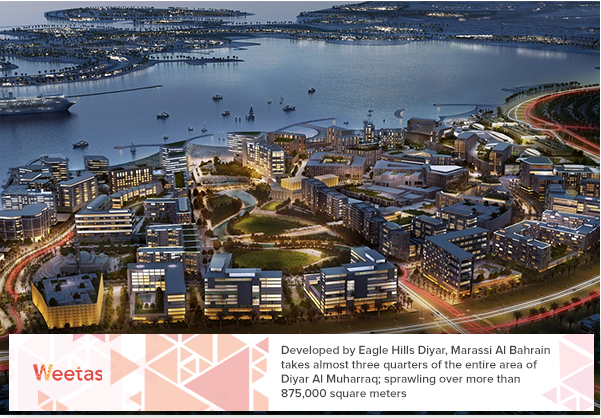 Developed by Eagle Hills Diyar, Marassi Al Bahrain takes almost three quarters of the entire area of Diyar Al Muharraq; sprawling over more than 875,000 square meters near the most vital highways in Diyar Al Muharraq, Marassi Al Bahrain is expected to provide homes to around 22,000 people. The development will contain around 6,000 residential units, distributed among low- and mid-rise buildings and 250,000 square meters of retail area. The destination also offers a stunning waterfront promenade as its coastline spans two kilometers of stunning beaches. 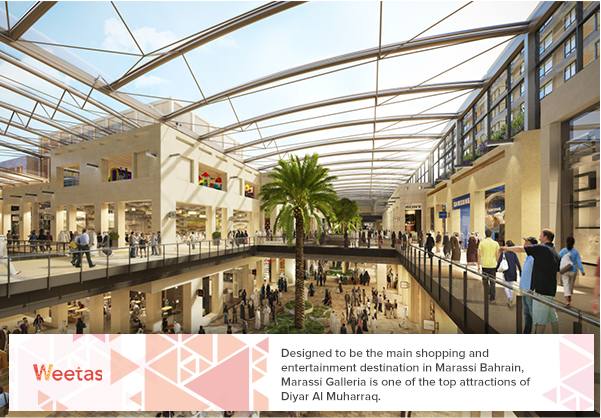 The project offers an instant access to Marassi Galleria, one of the key shopping destinations of Marassi Al Bahrain. With a site that spans over 38,500 square meters, Marassi Residences comprises a total of 281 high-end residential units varying between one-bedroom apartments, two-bedroom apartments, and three-bedroom apartments. As per the announced plan for the project, the home buyers and investors should be able to receive the keys of and move into their perspective units by the end of 2018. Eagle Hills Diyar has developed a two-year post-handover payment plan which will enable the home buyers to pay 60% of the units value before the handover then pay the remaining 40% in installments over two years after the handover. 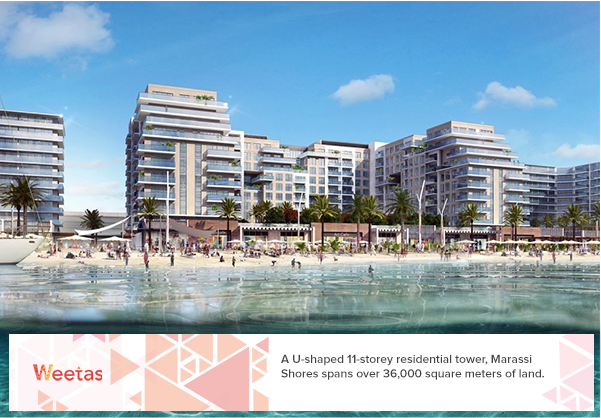 A U-shaped 11-storey residential tower, Marassi Shores spans over 36,000 square meters of land. The tower will comprise 289 residential units including studio, one-bedroom, two-bedroom, and three-bedroom apartments in addition to penthouses. 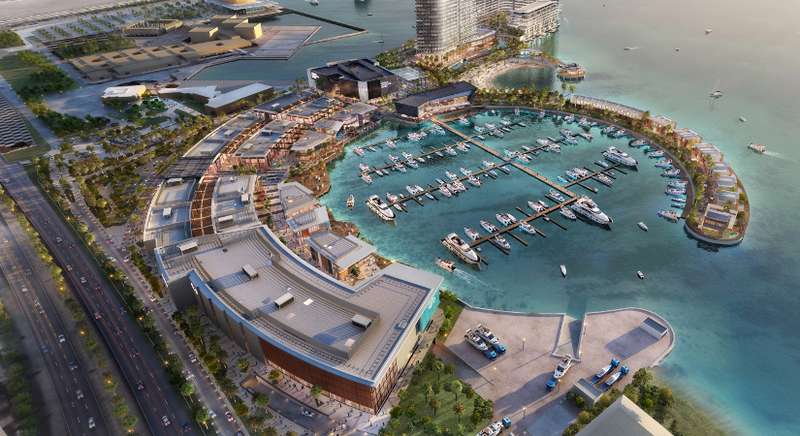 The project will offer its residences a mesmerizing panoramic view of the sea. 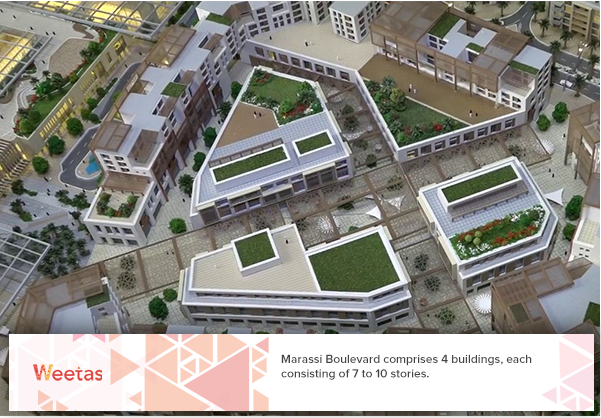 Marassi Boulevard comprises 4 buildings, each consisting of 7 to 10 stories. In total, the buildings boast 240 residential units varying between studio, one-bedroom, two-bedroom, and three-bedroom apartments. The homes offer their residents a beautiful view of Marassi Al Bahrain and its vast green spaces. In addition to that, the project features retail space that spans 700 square meters. As a project, The Address consists of both a residential building and a hotel that are situated 10 minutes away from Bahrain’s international airport. The Address Residences is built over an area that spans nearly 11,000 square meters and is consisted of 7 floors that include 155 serviced upscale homes. On the other hand, The Address Hotel comprises 9 floors that include 112 luxurious hotel rooms and 20 suites. In addition to that, The Address features 5 retail stores as well as many upscale amenities and facilities including swimming pools, rooftop restaurant and garden and a fitness center. Designed to be the main shopping and entertainment destination in Marassi Bahrain, Marassi Galleria is one of the top attractions of Diyar Al Muharraq. The vast shopping mall spans around 200,000 square meters of land that will host a large number of outlets for the world’s best lifestyle brands, as well as the best food and beverage outlets. 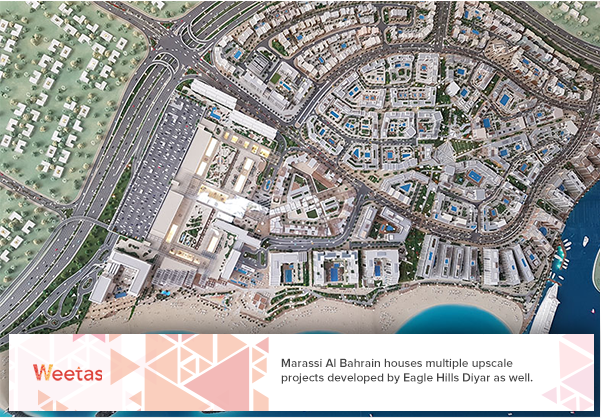 On 28 January 2019, Eagle Hills Diyar announced the commencement of the construction works of Marassi Galleria. 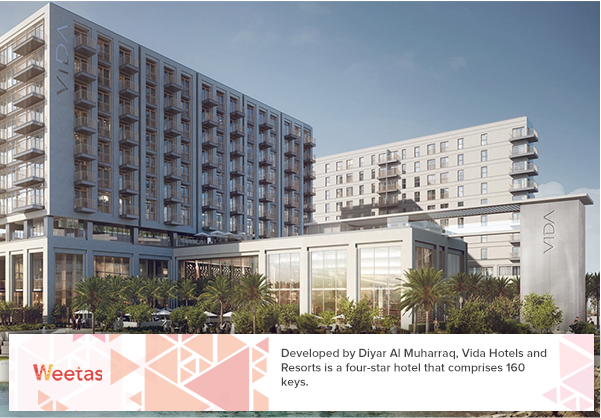 Developed by Diyar Al Muharraq, Vida Hotels and Resorts is a four-star hotel that comprises 160 keys. The hotel will guarantee its visitors and guests an instant access to Marassi Galleria, as well as a number of high-end amenities that include but are not limited to an outdoor swimming pool, a business center, a spa and a wellness center. Also, Vida will house 145 serviced residential units that vary between one-bedroom, two-bedroom, and three-bedroom apartments. All these aforementioned projects signal how Marassi Al Bahrain will be Diyar Al Muharraq’s beaconing master development. Also, considering the other mega developments in Diyar Al Muharraq which Marassi Al Bahrain would have access to like Dragon City, Marassi Al Bahrain will be one of the major investment destinations as well.